Don’t have the time or extra money to finish your basement? No need to worry! 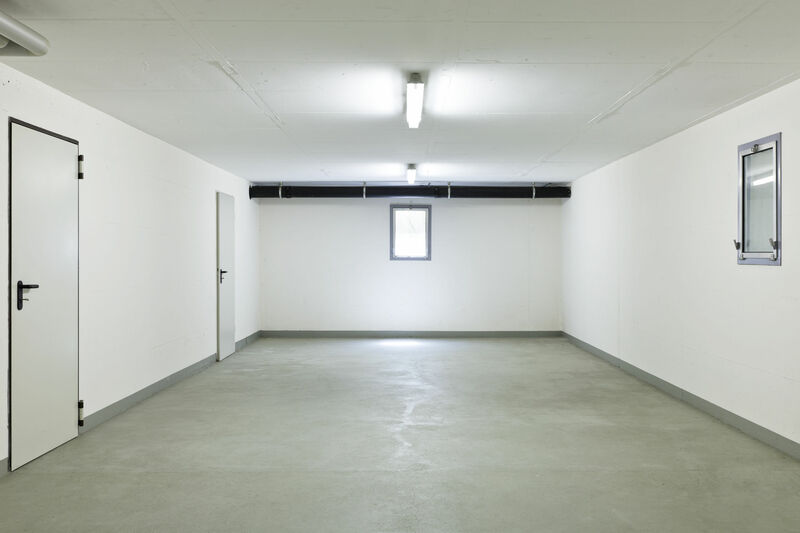 Use these 4 tips to keep your unfinished basement safe for your family! Let’s start by getting your basement water tight so moisture does not accumulate and lead to other issues. You don’t want to allow any mold or other bacteria to grow and cause harm to your family. Apply a concrete sealer to the floors and walls. This is a quick and easy way to keep everything dry in the basement. Another important area to check for leaks is your basement windows. If you have moisture in the basement there is a good chance the old leaky window is the culprit. Combat this issue with a completely new window or a window well cover. A little bit of light can go a long way in a dark scary basement. Not to mention that trying to make your way around in poor lighting can be a hazard. There are numerous tripping hazards in basements. Also, trying to make your way up and down the stairs in the dark is not the best idea. This greatly increases your chances of falling and causing injury. There are many quick and easy solutions to this problem. First, a basement window or window well cover can be great for allowing natural light to fill the basement. Next, install new light bulbs or additional fixtures that reach further into the dark corners. If it is not possible to install additional light fixtures, you can look into battery-powered options or LED strips that can be connected by an extension cord. There are plenty of great options for this. One important feature to have in your unfinished basement is GFCI-protected plugs. These will keep your home and family protected from electrical fires since moisture in common in unfinished basements. Another tip is to avoid using extension cords on a permanent basis. Since they are not designed to be permanent, it may increase the chances of electrical fire or shock. Finally, here is something to remember when arranging your storage area. Never stack boxes against plugs or wiring. If there happens to be some damaged wiring, this could cause a fire hazard in your home. Keeping all the wiring and plugs visible is also a good idea to make sure everything is in good working order from time to time. Just like the rest of your home, you should be sure that your basement is equipped with proper detection devices. 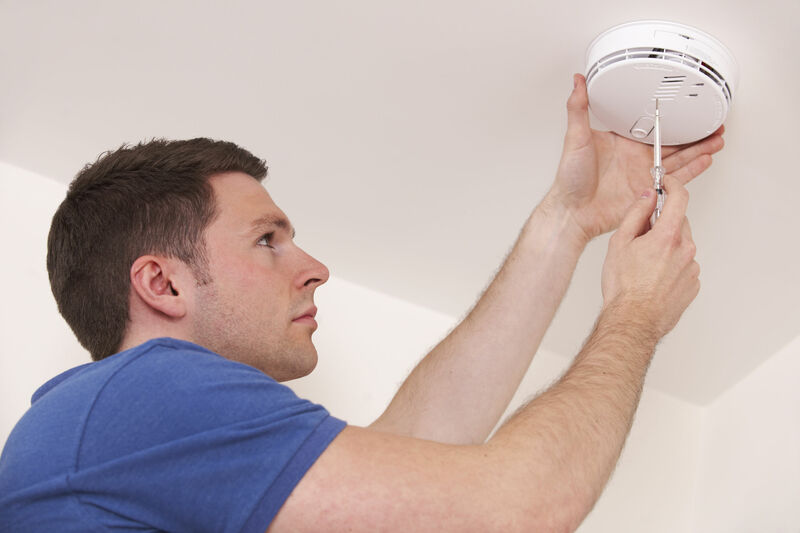 This includes smoke alarms that are tested frequently to make sure they are functioning properly. It also includes carbon monoxide detectors to alert your family of any sign of this poisonous and invisible gas. Carbon monoxide is nothing to mess around with because it can be deadly. These detectors are cheap security to protect your family. Another thing to consider is installing a water detection device. This is an affordable way to help you avoid major water damage in your home. The detection device will alert you of any leaks so they can be taken care of before it’s too late. Along with a water detection device, it is wise to keep a sump pump in your unfinished basement to remove water quickly in case you do experience any flooding. Don’t let your unfinished basement be forgotten about even though you don’t spend much time in it. You may only use it for storage but it is still important to keep it safe so your home and family is safe.